The Bible class program aims to teach kids how God has worked His plan for His creation throughout the ages. The curriculum is designed to take kids through the entire Bible story every two years with increasingly more detailed lessons starting with simple stories that introduce Bible characters in the younger classes to learning to apply the stories in daily living in the older classes. The 2 & 3 year old class, pre-k class, and kindergarten class use the same stories but emphasize different parts with various learning activities. 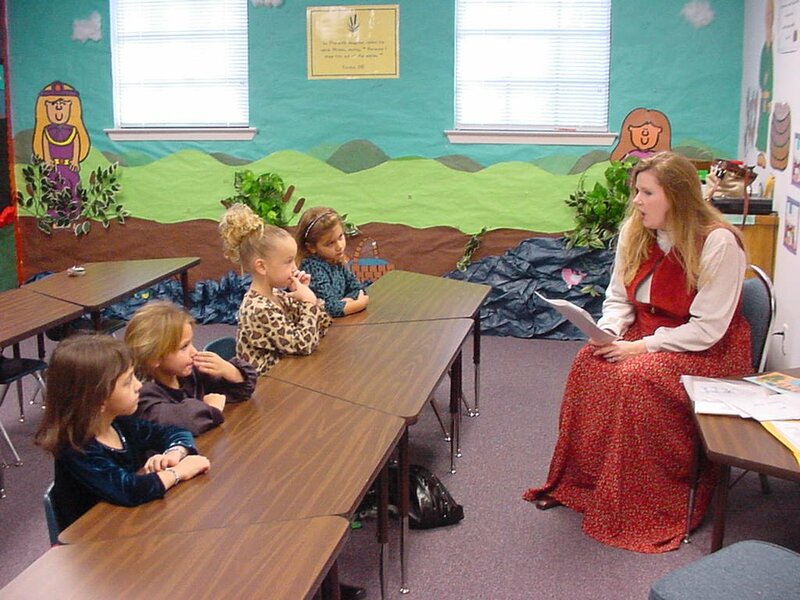 The Bible stories are taught to the students on their learning level. The Old Testament lessons are broken into 5 sections and the New Testament lessons are in 3 sections.